Unless you’ve been living under a rock for the past few days, you’ve probably heard about the recent #DeleteFacebook movement. This hashtag, which encourages users to delete their Facebook accounts, stems from the recent privacy problems experienced by more than 50 million users around the world. 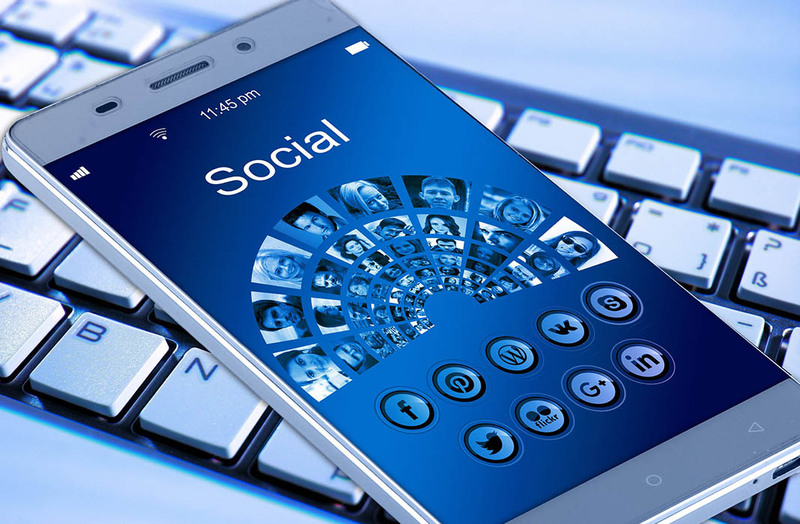 If you’re interested in configuring your main social network accounts so that no one can get at your information without your permission, we’re here to show you a few simple ways to manage your privacy on Facebook, Instagram, and Twitter. Only your name, profile image, and cover photo are always public to anyone who searches for you. Everything else on Facebook is customizable. You can decide exactly who can see your posts and each one of the information sections on your personal Facebook profile. All you have to do is go to your Privacy Shortcuts and adjust the permissions to choose who can see what. If you select the option View as, you can enter the name of any user and see how your profile looks for that user. The idea here is to quickly see what privacy aspects you need to improve. Managing what content people can tag you in is also essential for controlling your privacy. To do this, you can go to Account settings > Timeline and tagging to then decide if you want posts you’re tagged in to automatically show up on your profile. When you link apps to your Facebook account, you also give them access to certain information. To manage the information you’ve previously shared with any apps, you can go to Account settings > Apps > Logged in with Facebook. Since 2012, the social network Instagram is managed by Facebook. This means that both platforms are connected in various ways. Unsurprisingly, this entails their privacy policies as well. A basic privacy feature on Instagram is the power to “lock up” your account. To do so, just go to Options > Private Account, and users will have to send a follow request for you to accept if you want them to be able to see your content. Instagram only lets you hide your “like” activity if your account is private. This means your followers can find out what posts you’ve liked in the last few minutes, completely undermining your privacy if your profile is public. Another one of Instagram’s privacy loopholes is that you can’t hide specific photos or videos from certain people, like we can on Facebook. This option is only available when posting Stories. 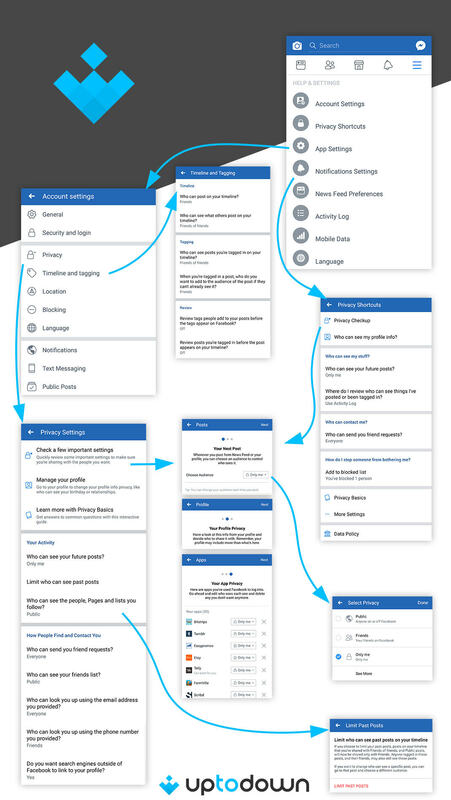 In the Stories you have the option to limit these brief stories to one or just a few users, and also limit who can share them by private message or on Facebook to third-parties in Story Settings > Hide story from. You can also decide who can respond to this content in Story Settings > Allow message replies. The direct message section in Instagram is precisely where there have been so many privacy problems in the last few weeks. The platform added a system that showed the minutes since our last connection on the social network. However, we can deactivate this information by turning off the option Show Activity Status in the Options menu. Lastly, if you’re tagged in a photo, you have the option to add the post manually or automatically by going to Options > Photos of You. Instagram also offers the option to select the photos that you’ve been tagged in and hide them by selecting Hide photos. In 2017, Twitter increased their transparency regarding user privacy, offering complete statistics about how and where our information is used. From the section Your data you can see the apps you have installed on the devices where you’ve used the social network, a list of interests that the micoblogging company presumes you have, and tailored audiences that are created according to your search behavior or email lists. This last one affects the ads Twitter shows you while browsing. From the Privacy and Security tab, you can protect your tweets so that only authorized uses can see them. It also offers the possibility to disable showing your location in your tweets. 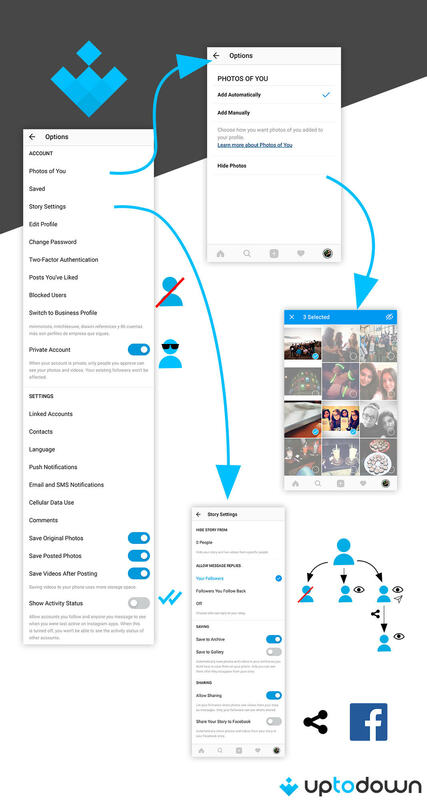 From this same section, you can select who you want to be able tag you in photos or decide if you want to allow other Twitter users to find you using your email or phone number. 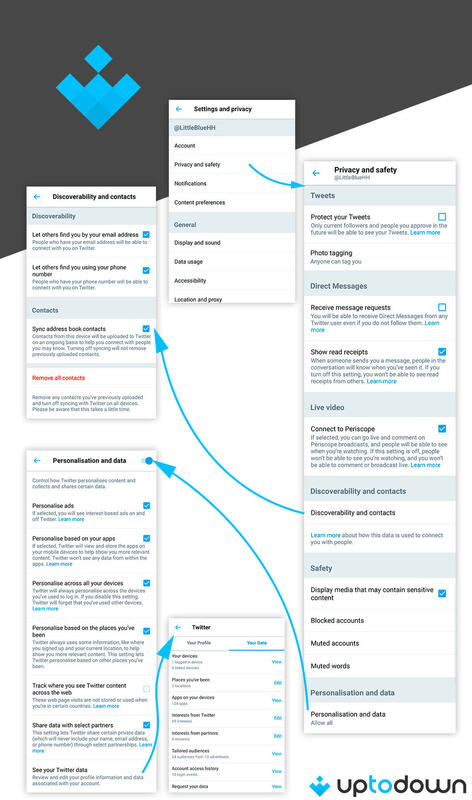 Another one of the interesting options for safeguarding your privacy is the option to deactivate the read receipts for direct messages in Privacy and safety > Direct messages. This way, no user can see if you’ve opened or read any direct messages you receive on Twitter. If, by any chance, you don’t find time to configure all these settings while you’re alive, social networks like Facebook take it one step further and offer the possibility to manage your privacy after you die. 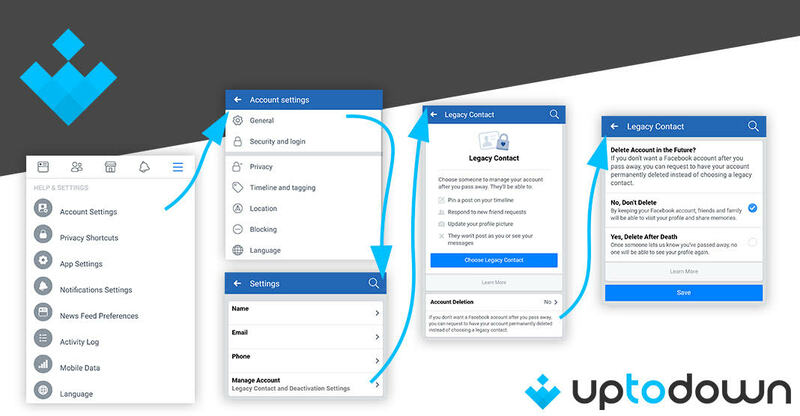 You can create a legacy contact who can take certain steps with your account like write a pinned post for your profile, update your profile photo or cover photo, and even request that your account be deleted.